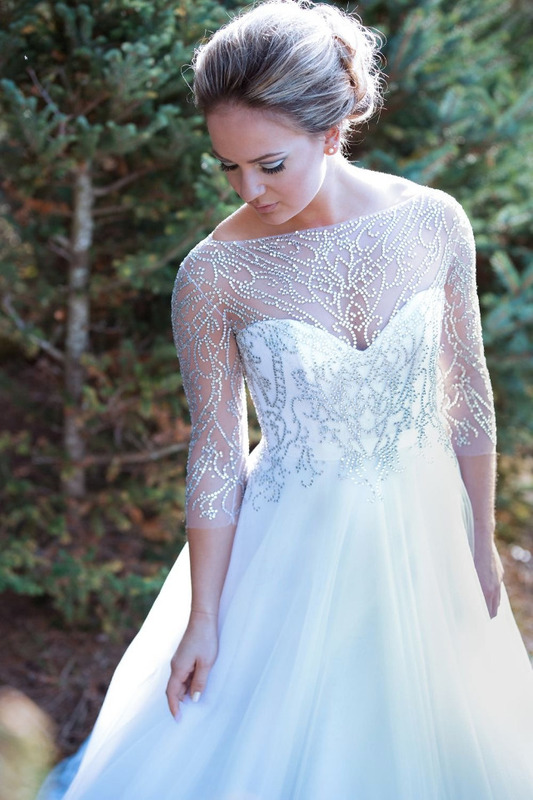 Who doesn't love the magic of a winter wonderland? 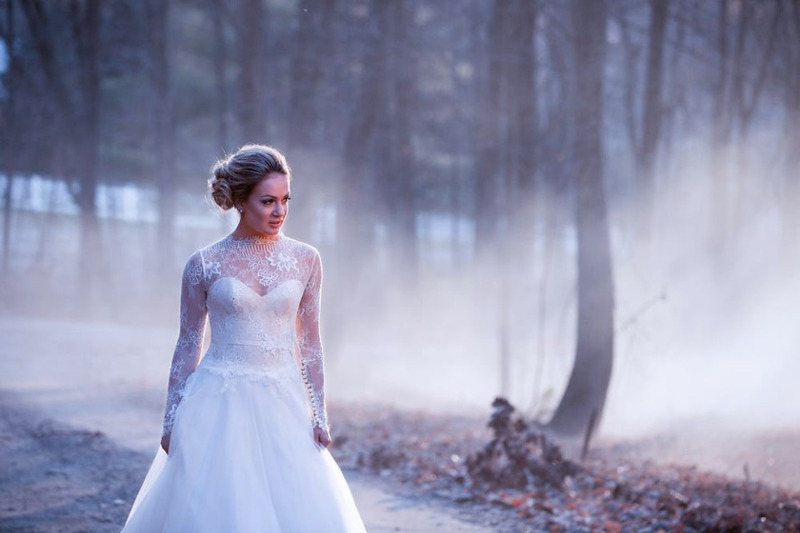 That was the inspiration behind Ever After Bridal's latest styled shoot with Josh Adam Photography. 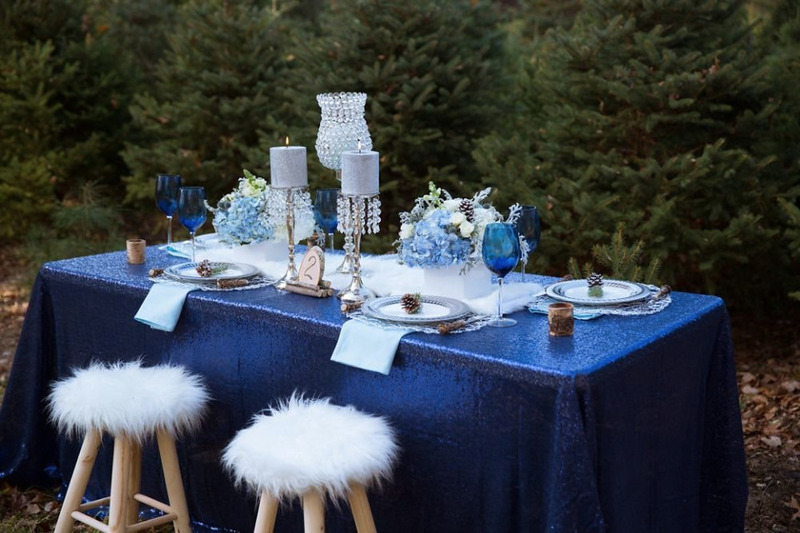 Serenity Blue accents complimented the cool tones of the season while Bees, Fleas and Trees Christmas Tree Farm brought a sense of woodsy warmth to the elegant atmosphere. 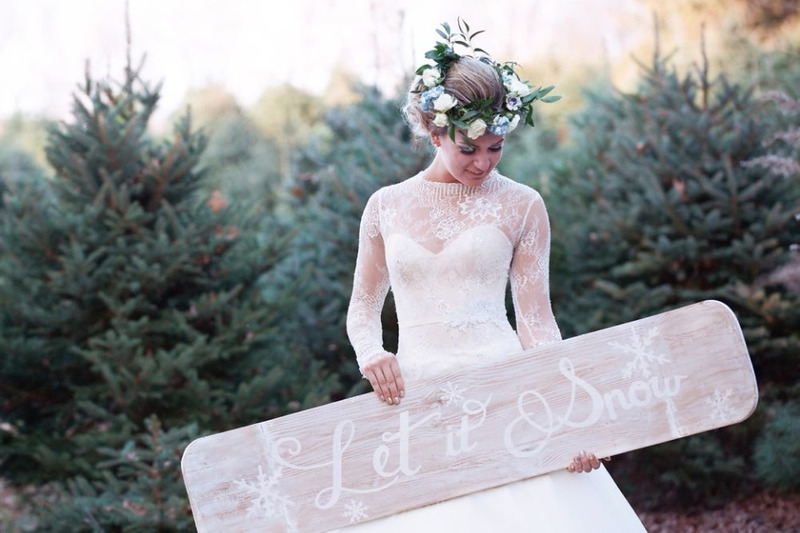 Make your winter wedding truly magical with these whimsical ideas, see them all in the full gallery. 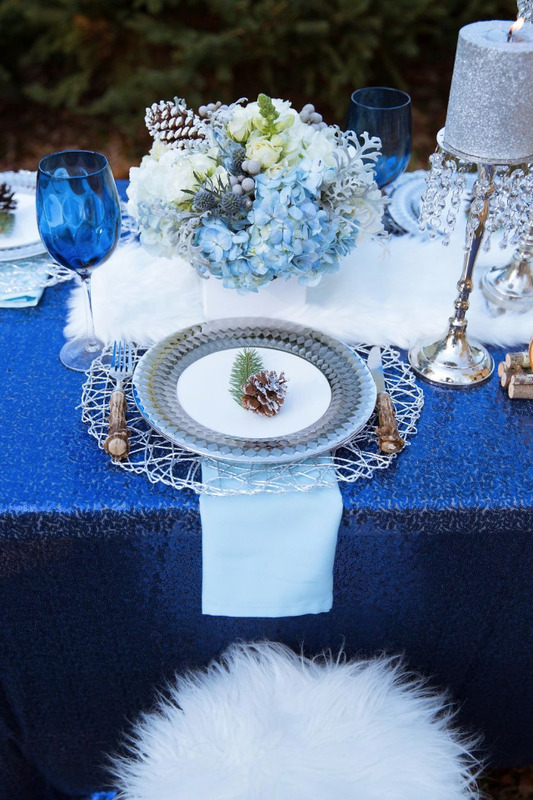 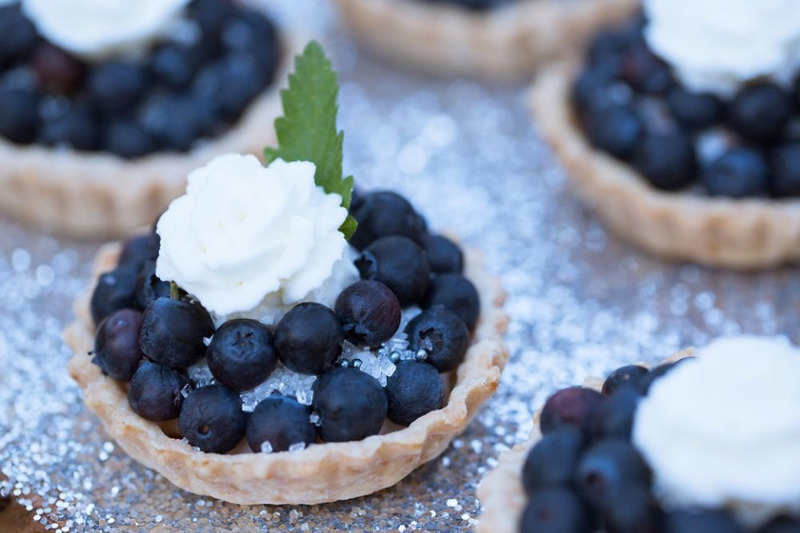 We can only hope that this serenity blue winter wonderland brings some whimsical wedding inspiration your way this winter season. 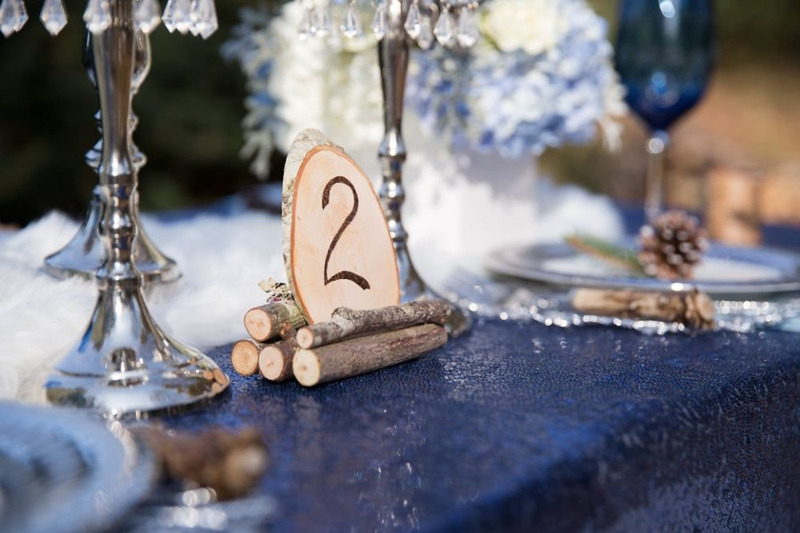 Words from the vendors: Pretty pastel blue and pine cone accented flowers were provided by Earthy Elegance Florals. 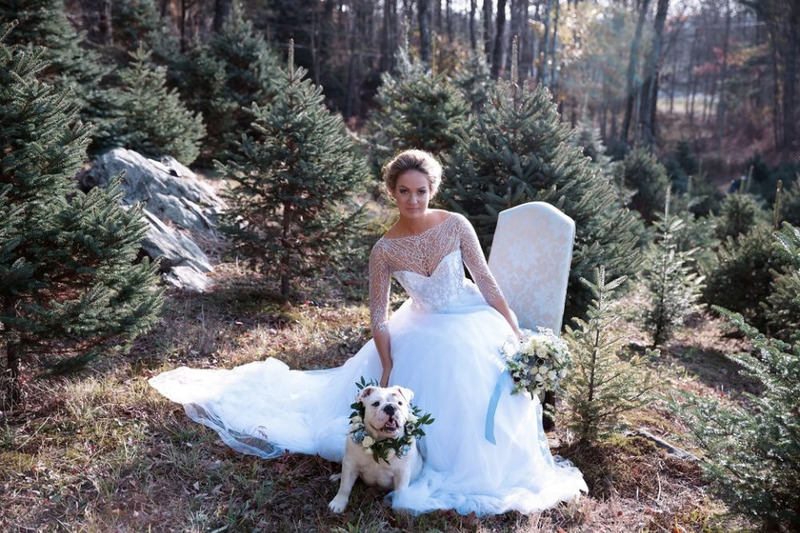 And a stunning serenity blue flower necklace was created for our English bulldog flower girl, Eggnog. 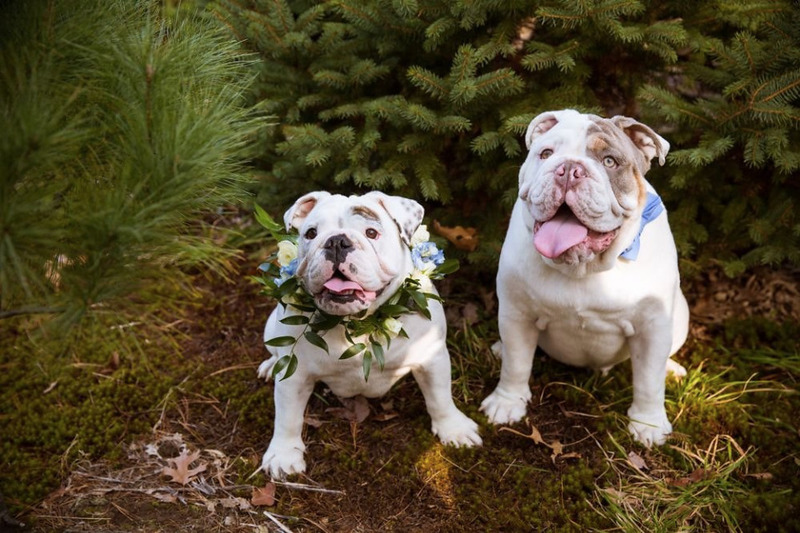 Winston our bulldog ring bearer wore a baby blue bow tie from Molly & Me Boutique. 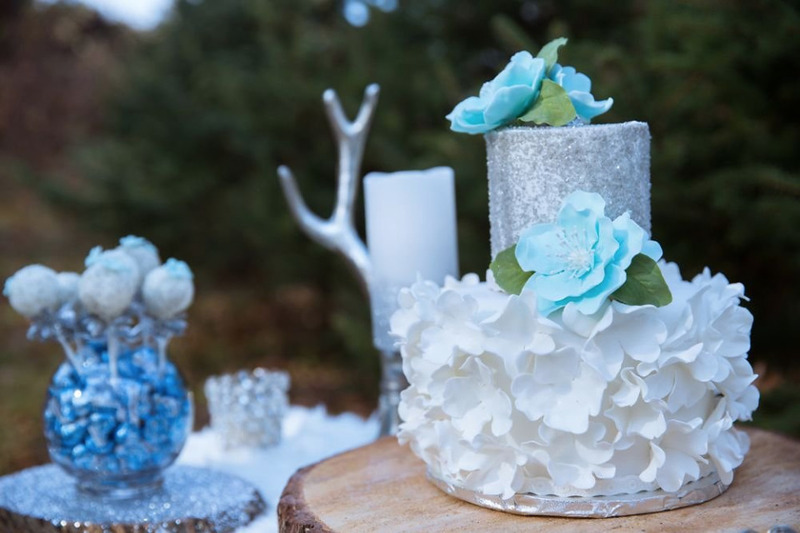 Our decadent desserts and whimsical winter cake were created by Cakes by Lorelie. 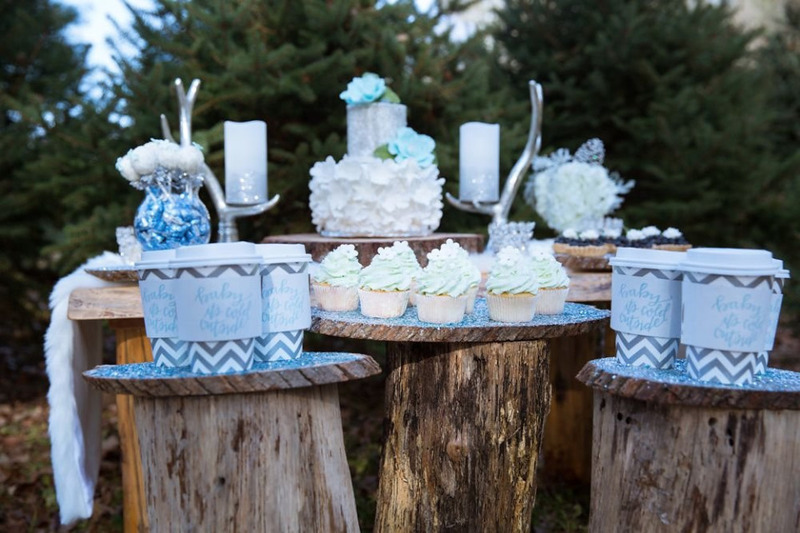 All which added just the right amount of elegance to our tree trunk dessert display. 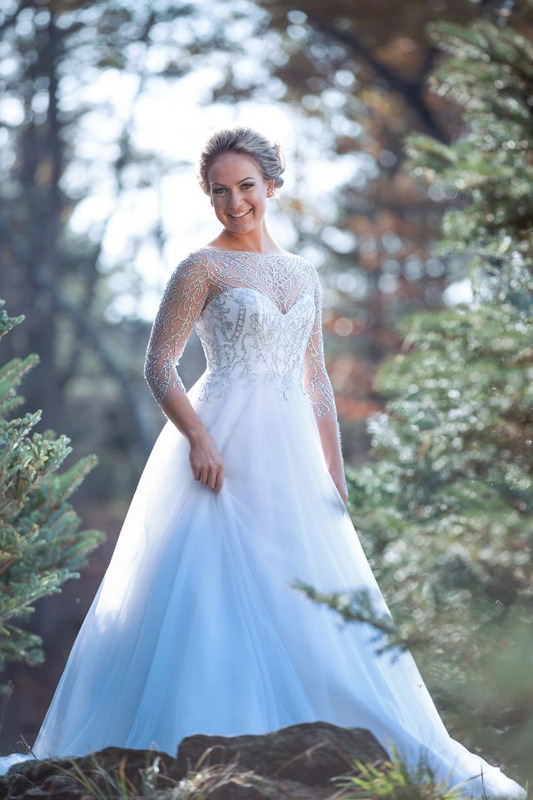 All of these elements merged together with the natural beauty of a tree farm, helped our Veluz Reyes gowns take center stage in this fairy tale like forest. 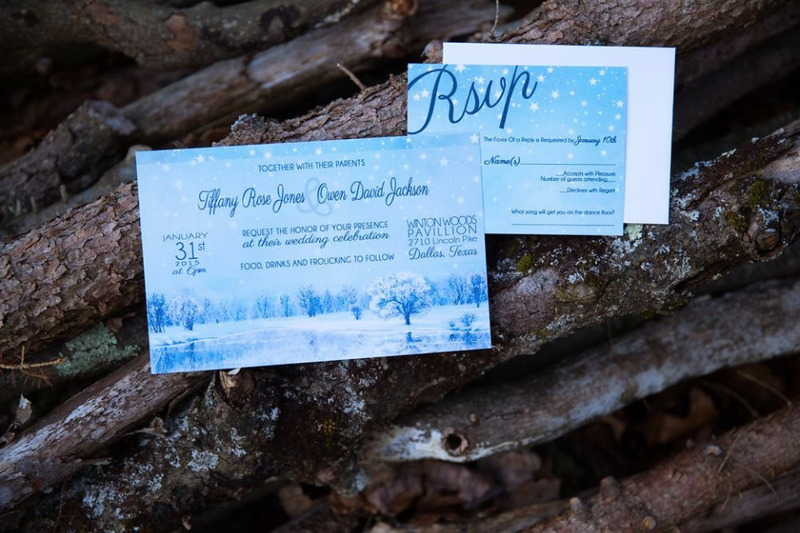 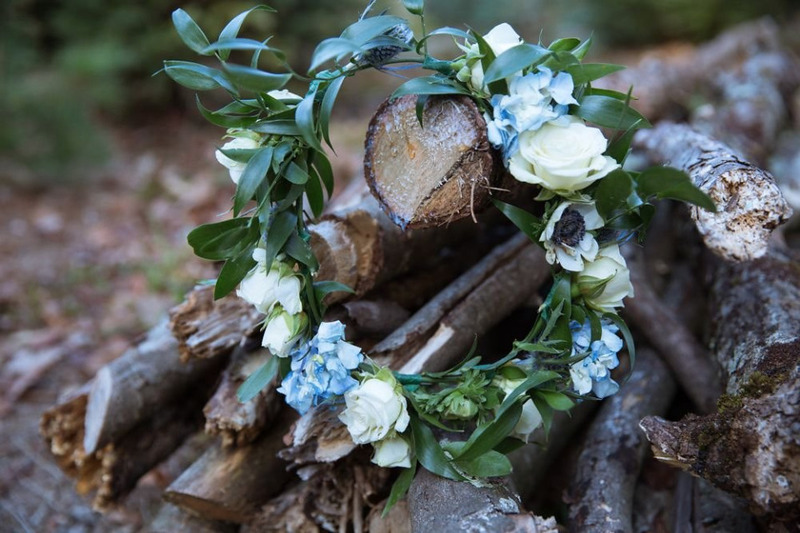 If you've been dreaming of a white wedding full of winter wonderfulness then you'll probably also adore these Magical Winter Wedding Ideas.